November 4, 2013, Napa Valley, Calif. — The National Auto Sport Association (NASA) recently announced that NASA's Championship race program now includes two dates with one on each coast. In a further enhancement of the program, Mazda Motorsports has now agreed to partner with NASA and is excited to present the Mazda Race of NASA Champions. This will be a Grand Finale race held as a supporting series race in conjunction with other professional racing series and will be the definitive answer to who is the best from the grassroots racing ranks. This new opportunity is a tailor-made ladder program specifically designed to bridge the gap from amateur racing to professional competition. Best of all, NASA drivers can achieve this status by distinguishing themselves by winning their class at one of the new Championship events. Beginning in 2014, NASA Champions from both the Eastern and Western States Championships will earn an invitation to attend the Mazda Race of NASA Champions. The Mazda Race of NASA Champions will use identically prepared Mazda MX-5 race cars and be a featured series on a professional race weekend. The winner of the race will be crowned the NASA Grand Champion. 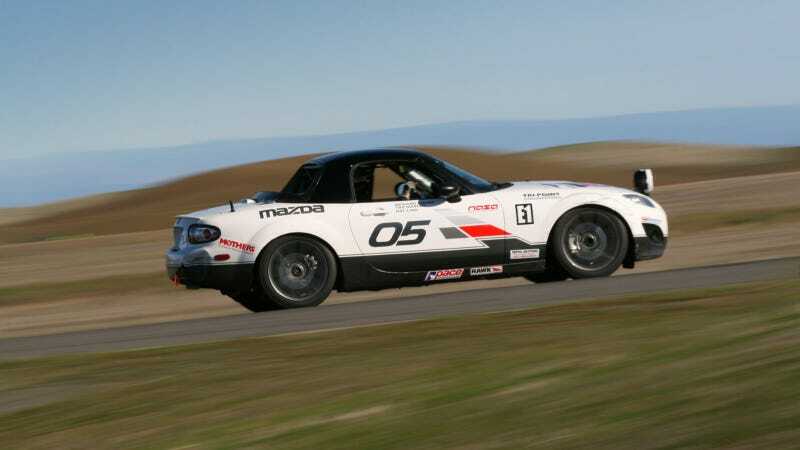 The newly crowned NASA Grand Champion will then be automatically invited to attend the annual Mazda club racer shootout where they are eligible to win more than $75,000 in prizes and the opportunity to compete in the professional MX-5 Cup the following year. This is the pinnacle opportunity for club racers to prove themselves and turn pro. "Mazda is an amazing partner and a company that identifies racing as an important part of their brand. NASA and Mazda are both very focused on creating new opportunities in motorsports and this program could help identify and develop the next great driver in our sport," said Ryan Flaherty, NASA National Chairman. "Never before has a system been put into place to provide a NASA competitor with such an amazing opportunity to advance their racing career and jump right into a pro racing environment with such little investment outside of their normal racing activities. We look forward to seeing a current or future NASA competitor use this new opportunity to catapult themselves into the world of professional racing." John Doonan, Director, Mazda Motorsports, Mazda North American Operations, noted that; "NASA offers top-flight competition across a wide variety of classes and brands. Mazda is excited about this new program where their champions will have a chance to race head-to-head in Mazda MX-5s to crown a single champion. We look forward to working out the details with NASA in the weeks ahead." Champions from every NASA class, are eligible to compete in this unique new program designed to give competitors the chance to advance their driving careers without a single change to their regular racing plans. The program will begin in 2014 and the Mazda Race of NASA Champions will take place after both Western and Eastern States Championships have concluded.